Running a credit report is a crucial step to conducting a tenant background check. However, credit is not the only factor when it comes to identifying a good tenant. Take, for example, the landlord who chooses tenants based on a threshold credit score. The problem: there is no guarantee that the high-credit tenant is going to take care of the property, or get along well with other tenants. They may be credit-worthy, but credit alone will not show if they are tenant-worthy. By demanding a specific credit score, many high-quality rental applicants are overlooked. Rather than setting a threshold, it is best to look for red flags, such as long-term overspending, chronic late payments, judgements or defaults — the telltale signs of poor financial management. As many as one in twenty people may see mistakes in their credit reports. As important as it is to rate the tenant’s overall credit health, it’s necessary to take into consideration the reason for a mediocre credit report. For instance, a one-time event that skewed the results may be less of a concern than chronic bad money management. Other important factors include the amount of time that has passed, and what the prospective tenant has done to rehabilitate credit. TVS surveyed a number of professional property managers, representing thousands of units, on their policies concerning tenant credit for our blog post Where Do You Draw the Line on Tenant Credit? Each of these managers consistently accepts applicants who have average or poor credit if the person has a strong rental history and made a positive change in circumstances, such as a higher-paying job or savings. A long history of collection activities. Outstanding utility bills, auto repossessions or unpaid rent are considered serious red flags, whereas verifiable income and a good rental history can overcome low credit. A common scam is to pretend to be overqualified for the rental. If the professional tenant is successful, he or she will talk the landlord out of running a credit report or doing a tenant background check that would expose the false statements. Any tenant who refuses to consent to a tenant background check, including releasing a credit report may be hiding something serious. For instance, one applicant refused to release his credit report citing privacy concerns. This tenant was only pretending to be wealthy, and a credit report would have exposed the scam, including alias names and outstanding collections. Always confirm the identity of a rental applicant. Make sure the information on the rental application is correct. 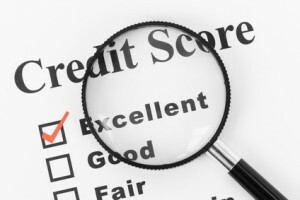 This can reduce the likelihood of receiving the wrong credit report. Even if a credit report checks out, speak with previous landlords before renting to your prospective tenant. It is possible for landlords to assist tenants in maintaining or improving their credit. It’s easy to do. Simply sign up to Report Tenant Pay Habits. The added benefit: tenants are more likely to pay rent on time because they know their payments are being tracked. The good tenant will receive a Certificate of Satisfactory Tenancy to show the next landlord, and the landlord enjoys steady cash flow — a definite win-win situation.